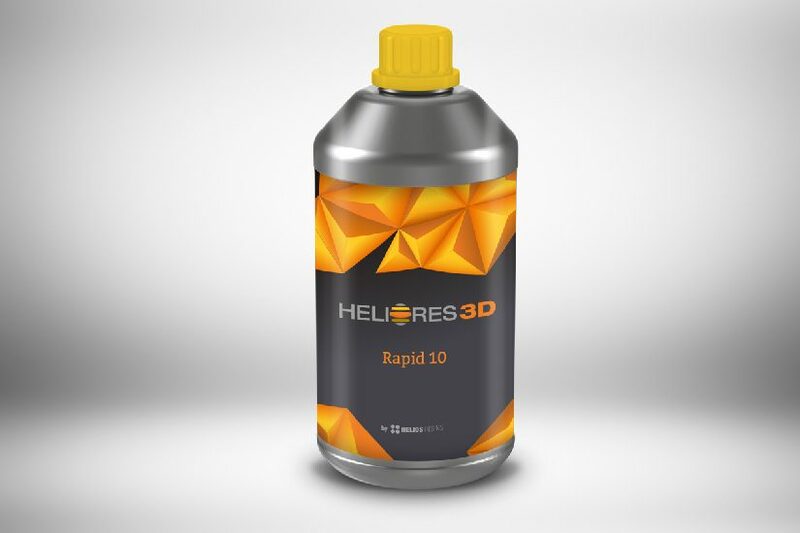 Helios Resins developed the new product HELIORES 3D Rapid 10, the first product in line under the brand HELIORES 3D. It is a liquid photopolymer for 3D printing intended for general use with various types of SLA and DLP printers. The product is highly reactive and precise, allowing elements to be printed faster and more precise. It is the first Helios Resins product that is not intended solely for industry, but also for the end user. 3D printing is considered to be among the most promising emerging technologies. It is a process where a physical object is created by adding material from a digital model. This kind of technology is unique because of the consumption of the material, as only the amount needed for the desired 3D model is used. In addition, 3D printing produces a physical model from a single piece, which can have moving parts, and can also be hollow. The finished products differ in hardness, flexibility, elasticity and other properties, depending on the printing formulation used. For more high-quality and customized Helios Resins solutions visit the website https://www.resinshelios.com.